The bots are designed to be collapsable and flexible so that they can be dropped onto the surface of a planet without the need for expensive landing gear. Sticks and stones may break your bones, but rods and cables may one day help NASA explore planets. For a few years now, scientists at NASA's Ames research center and students from the University of California Berkeley's Best Lab have teamed up to create so-called tentricity robots, which they hope to one day use for planetary exploration. These structures rely on a constant interaction between compression and tension. Because the robots have no rigid connections, their shapes can be deformed using a series of small motors. The motors pull on the cables and make the bots move by either rolling or hopping. 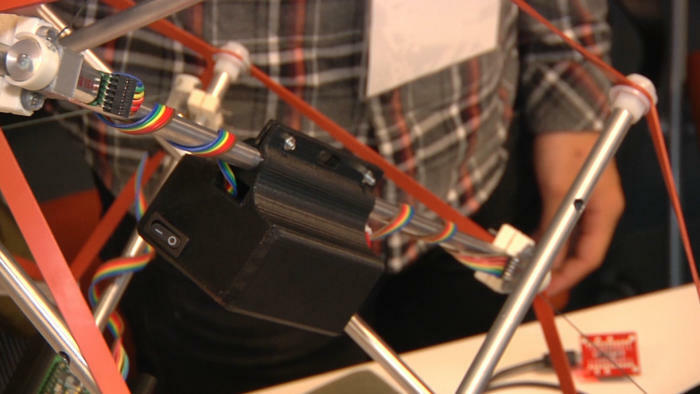 Small motors pull on the cables of the tentricity robot and change its shape, causing it to roll or hop. Currently, NASA needs to go to great lengths to land a rover on a planet. Take, for example, the Curiosity Rover, which required researchers to use a parachute and sky crane to gently lower the rover onto the surface of Mars back in 2012. On the other hand, tentricity robots are built to be rugged and can absorb a heavy impact without breaking, meaning they can simply be dropped onto a planet without the need of expensive landing gear. Another advantage is mobility. The ability of tentricity robots to alter their shapes means that they move about in a variety of environmental conditions. Researchers say tenricity robots are still at least 10 years away from being used on missions, but they are optimistic the bots will one day provide a cheap, lightweight alternative to traditional rovers.